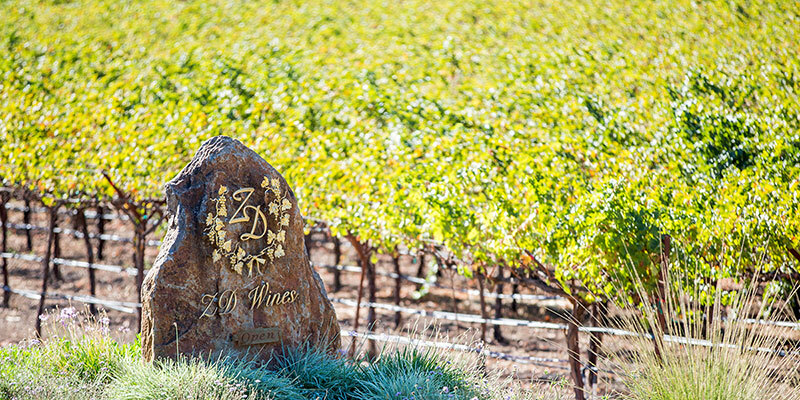 ZD Wines was founded in 1969 with a commitment to craft wines of quality, consistency, and style. Today, three generations of the deLeuze family are involved in producing world-class Chardonnay, Pinot Noir, and Cabernet Sauvignon. The winery is located in the heart of the Napa Valley in Rutherford.